Colton Haynes is an American actor and model. At the age of fifteen, Haynes began modeling for Abercrombie & Fitch while living in New York City, New York. After moving to Los Angeles, California, he began acting in television series such as CSI: Miami and Pushing Daisies and Arrow. 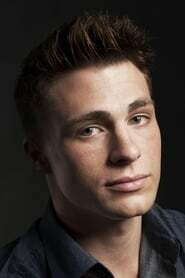 He is best known for his role as Jackson Whittemore in MTV's supernatural drama series Teen Wolf.